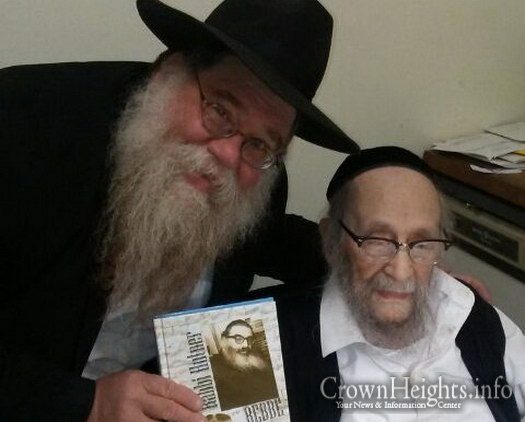 Rabbi Dalfin presents his new book titled “Rabbi Hutner and Rebbe” to a very special 102 year old man. Can you identify him? 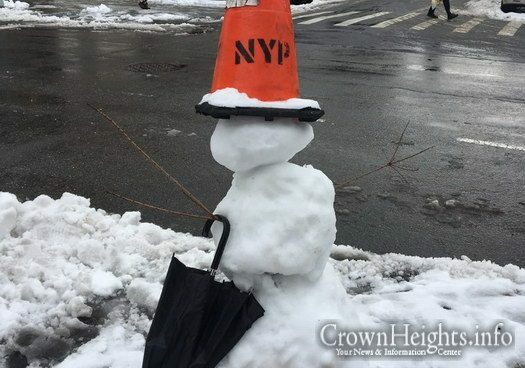 In theme with the snow slowly melting around Crown Heights, we present a relevant photo of a Crown Heights snowman spotted on Kingston Ave.
World renowned singers Avraham Fried and Mordechai Ben David were spotted at last nights Shas-A-Thon learning together be’chavrusah. 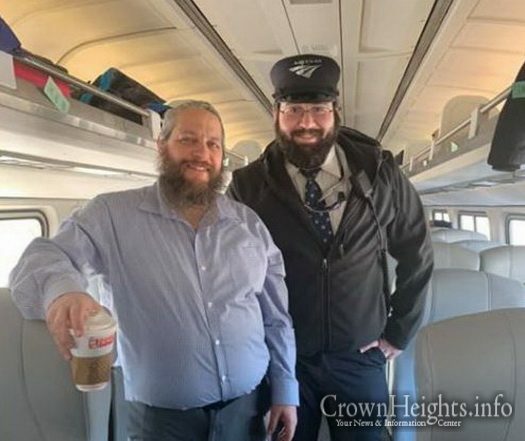 The photo was taken before they were scheduled to sing at the event following the Shas-A-Thon. 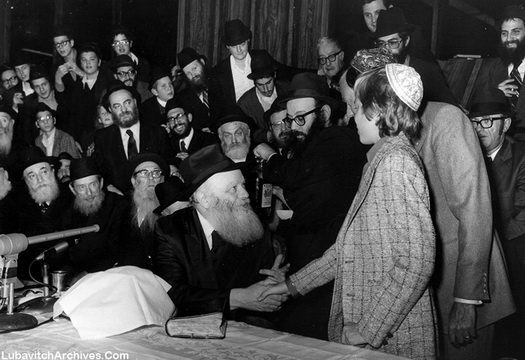 Courtesy of Lubavitch Archives, we present a weekly photo of the Rebbe Rayatz as he thanks the judge who swore him in as a United States citizen, 16 Adar, 1949. 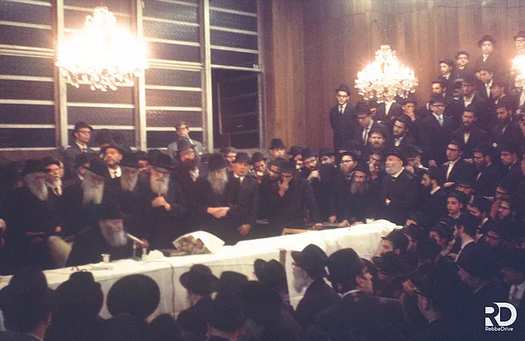 On the 9th of Adar we mark the day the Rebbe Rayatz arrived to the United States. 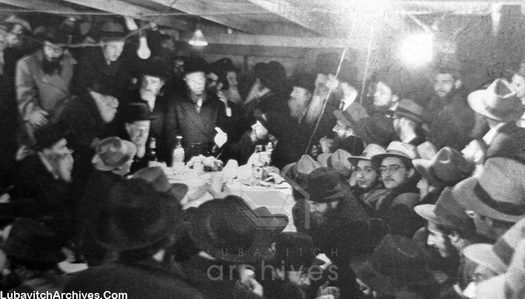 The Rebbe can be seen standing on the left. 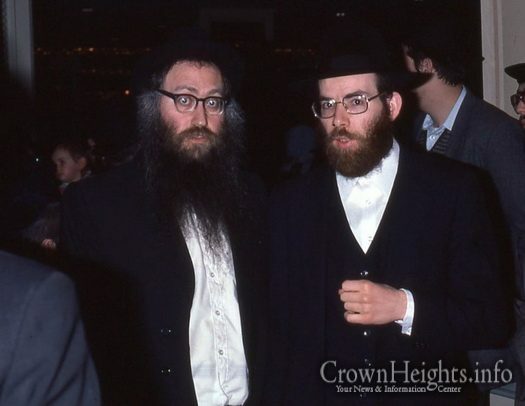 A rare moment was photographed as coordinators from four Shomrim divisions met at a recent event. 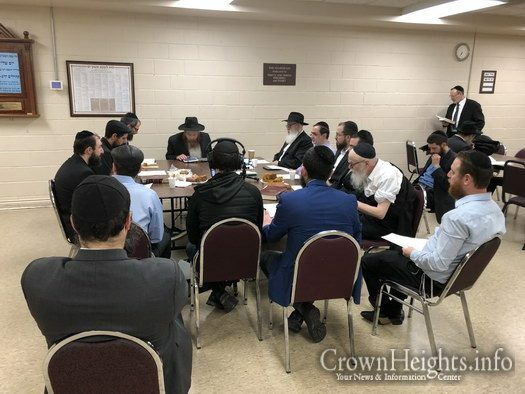 The coordinators are bottom left: Gadi Hershkop (Crown Heights), top left: Boruch Moskowitz (Flatbush), top right: Heshy Kahan (Boro Park), and bottom right: Shulem Klein (Rockaway Nassau). 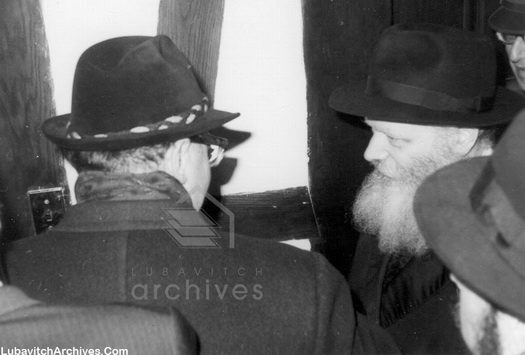 Courtesy of Lubavitch Archives, we present a weekly photo of the Rebbe as he greets a guest just before entering the yechidus room, in the 1970’s. Capital Chabad celebrated Tu B’Shevat at the New York State Assembly in Albany. 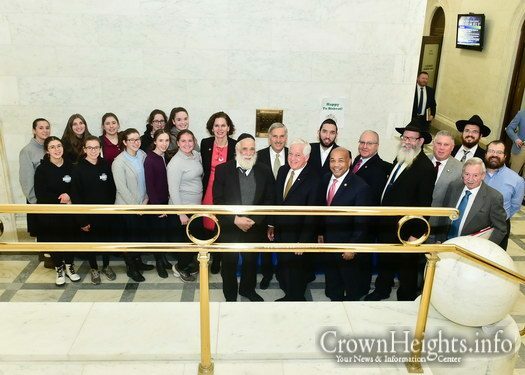 Pictured are Rabbi Yisroel Rubin, Capital Chabad; Rabbi Nachman Simon, Delmar Chabad; Rabbi Motti Rubin, Colonie Chai Jewish Center Chabad; Rabbi Yossi Rubin, Clifton Park Chabad; with many members of the Assembly including Speaker Carl Hastie and the students of B’nos Chai High School. It’s not the normal sight you would expect to see in 770, but two Frum NYPD Officers davening is definitely a beautiful view. 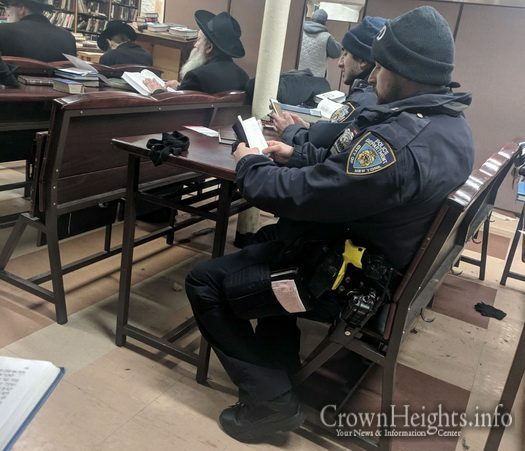 These two officers were caught on camera davening Maariv in 770, one even davening from an app on his phone. 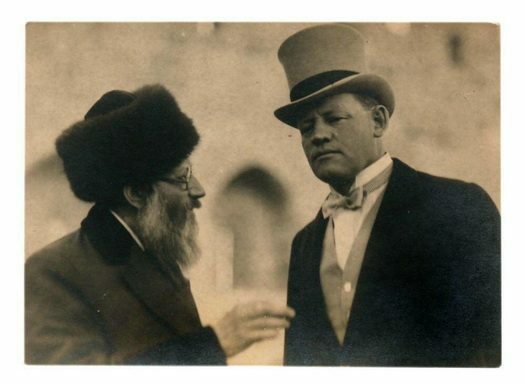 A photograph documenting a meeting between Rabbi Abraham Isaac Kook and Winston Churchill [Palestine, 1921?] by an unknown photographer. 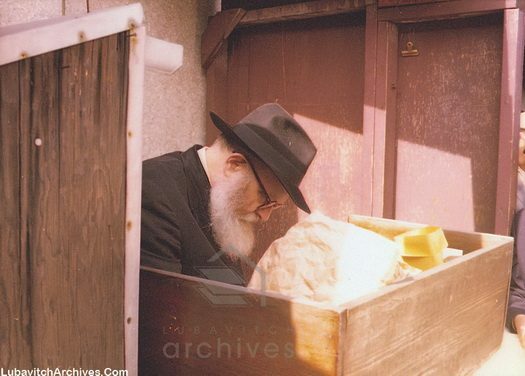 Courtesy of Lubavitch Archives, we present a weekly photo of the Rebbe during the groundbreaking of the extension of 770. 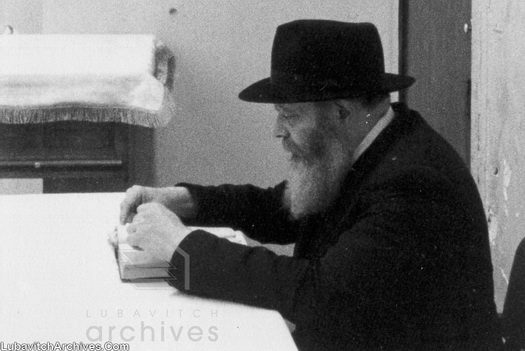 Courtesy of Lubavitch Archives, we present a weekly photo of the Rebbe during the davening of Maariv in the small shul upstairs in 770. 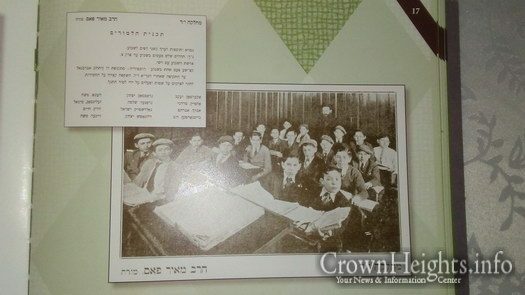 Can you find Rabbi Mordechai Altein in this class picture, from the late 1920s at Yeshiva Chaim Berlin at Prospect Place? 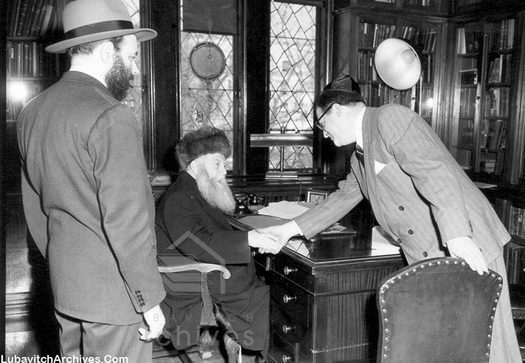 This photo was shares courtesy of Rabbi Chaim Dalfin from his upcoming new book, Rabbi Hutner and the Rebbe. 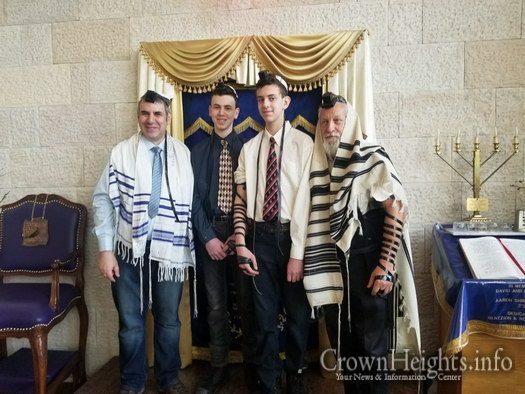 The Chabad House for Russian speaking Jews in Montreal, run by Rabbi Yisroel Sirota, celebrated a triple Bar Mitzvah recently. 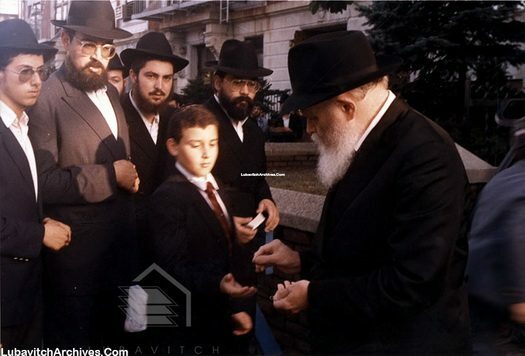 A father and his two sons all put on Tefilin for the first time at the Chabad House. 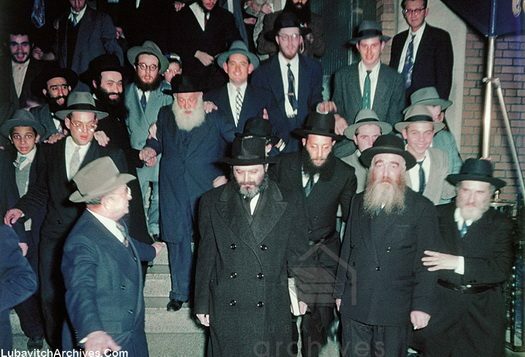 Courtesy of Lubavitch Archives, we present a weekly photo of the Rebbe leaving the hall following a wedding. 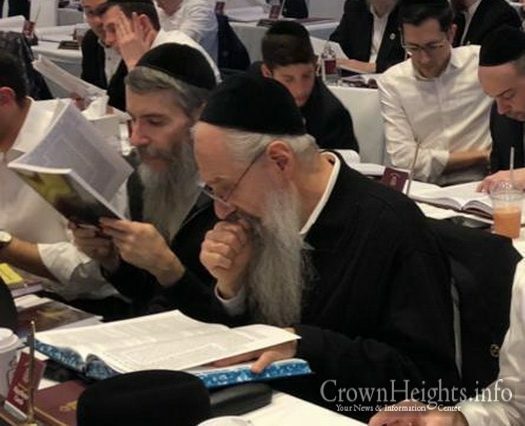 A shiur on this years Maamar Basi Legani started in Toronto just a few days ago. Despite it being a legal holiday, the 6:20am shiur, taught by Rabbi Akiva Wagner, was full. 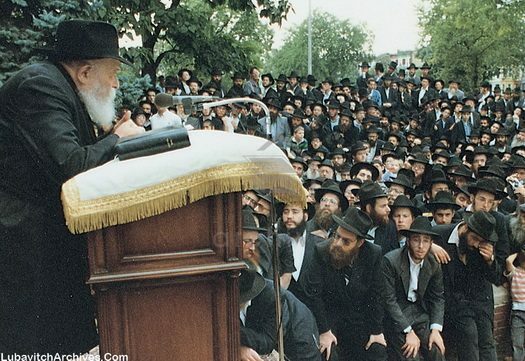 The Maamar is being learned in preperation for Yud Shvat, the day the Rebbe took on the leadership of Lubavitch, and which is coming up in a few weeks.